Arethuse Geology originates from Aix-en-Provence, France. 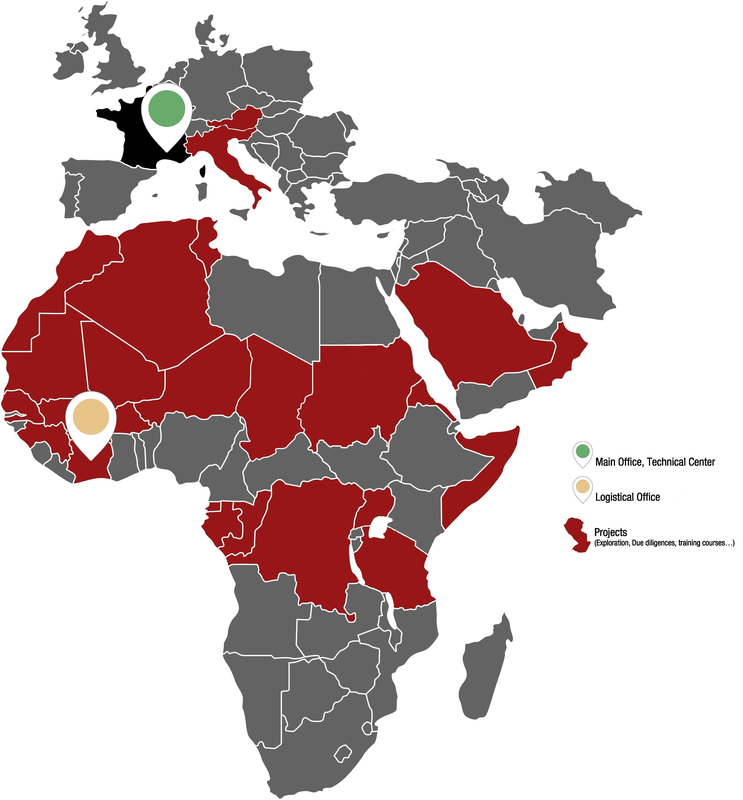 Our professional team has a worldwide experience with a particular focus on Africa and Middle Asia, and operates from our technical center or our offices in Khartoum and Abidjan. Arethuse Geology started first in Malaysia, where Dr Yves Cheze runs an associated consulting office. 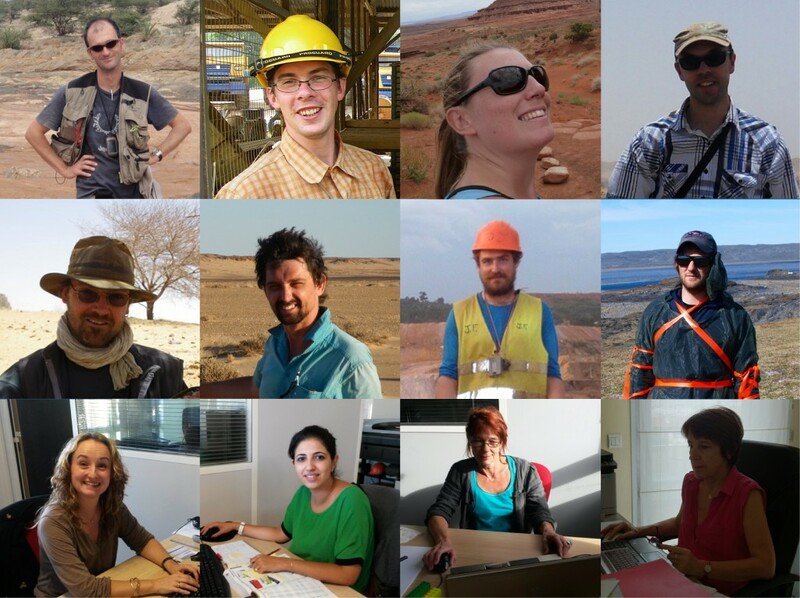 Arethuse Geology has a core team of 10 geoscientists with all level of experience and various specialties, and share the same enthusiasm for getting your project successful. Around this coreteam, and a restreint team of technical associated experts, ARETHUSE has developped a unique collaborating know-how founded on operationnal efficiency and appetite for technical excellence. Arethuse Geology is significantly investing every year in R&D for geoscience, methodological development, as well as in-house training and mentoring, to maintain the excellence of our services, and to help bridge the gap between different geoscience fields and thus constantly improving the technical input in your project. Rémi Bosc, Managing Director, Principal Geologist, FranceWith 20 years’ experience in mining industry, especially in gold and base metals, Remi benefits from a wide exposure to many exploration geological contexts and resource estimates in Africa and South-east Asia. Remi started his career as a BRGM geologist, and was involved as project geologist in the discovery team of the Tasiast deposit, in west Mauritania. Recently, he got involved in developing all resource estimates for the Ariab Mining Company (La Mancha) in the Red Sea Hills, Sudan, as well as for a number of other projects around the world. He recently conducted exploration projects in North Khordofan, Sudan, Somaliland, Ivory Coast, Malaysia, and advises corporate senior staffs on exploration strategy. His main competencies include Resource estimation, mining exploration project management, and a strong integration towards mining projects. Remi Bosc is also a Qualified Person as per the Canadian NI43-101, and Competent Person as per Australian JORC. Amir Anas Omar, Managing Director, Arethuse Mining, SoudanAmir has over 20 years experience in Sudan’s mining industry. He has participated in many projects for different substances, especially for the last and largest gold project in Northern Sudan Atbara. Amir knows the implications of a exploration project in Sudan. ARETHUSE GEOLOGY has now developed a high quality technical center in Aix en Provence, supported by state of the art softwares, where all your data could be managed according to JORC, NI43-101 standards. The company has recently opened two offices in Khartoum, Sudan, and in Abidjan, Ivory Coast, to better cater field exploration projects in West and East Africa.